The venue - the Sheraton Crystal City Hotel in Arlington - has had no reported bed bug problems, according to a popular online registry, so at least conference participants will be sleeping tight. The EPA, out of concern for the environment and the effects on public health, has pulled many of the chemicals that were most effective in eradicating the bugs from the U.S. over the last 50 years - such as DDT - off of shelves. 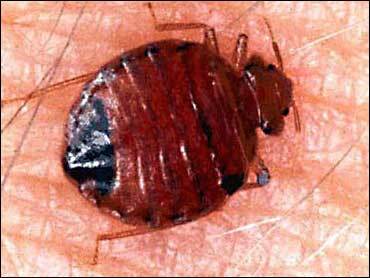 In a recent review of research on the pesky critters, researchers reviewed 53 recent studies on bedbugs and their health and medical effects. The results showed that although bedbugs have been blamed for the spread of up to 40 different human diseases, there is little evidence to suggest they are carriers of human disease. Those often hardest hit are the urban poor, Miller said. These are people who cannot afford to throw out all their belongings or take the sanitation measures necessary to rid them of the problem. Because the registration of new pesticides takes so long, one thing the EPA could do is to approve some pesticides for emergency use, Miller said. The pesticide industry will be pushing for federal funding for research into alternative solutions, such as heating, freezing or steaming the bugs out of bedrooms.